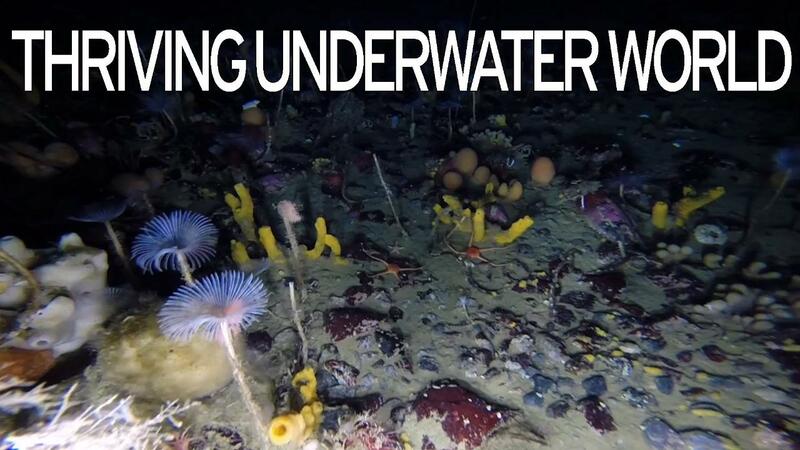 An underwater robot has captured a rare glimpse beneath the Antarctic sea ice, revealing a thriving, colorful world filled with coconut-shaped sponges, dandelion-like worms, pink encrusting algae and spidery starfish. The footage was recorded on a camera attached to a Remotely Operated Vehicle (ROV) deployed by scientists under the sea ice at O’Brien Bay, near Casey research station in East Antarctica. 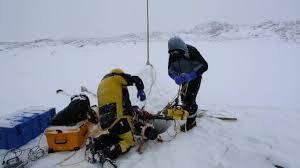 Australian Antarctic Division Biologist, Dr Glenn Johnstone, said the footage was captured while scientists retrieved a SeapHox pH data logger, which has been recording the acidity, oxygen, salinity and temperature of the seawater on an hourly basis since November last year. “When you think of the Antarctic coastal marine environment, the iconic species such as penguins, seals and whales usually steal the show,” Dr Johnstone said. “This footage reveals a habitat that is productive, colorful, dynamic and full of a wide variety of biodiversity, including sponges, sea spiders, urchins, sea cucumbers and sea stars. “These communities live in water that is -1.5°C year round and are covered in 1.5 meter thick sea ice for 10 months of the year. Dr Johnstone said scientists are only just beginning to understand the amazing biodiversity and complexity of the Antarctic near-shore ecosystem and the threats it is facing into the future. The Australian Antarctic Program project is the final field component of an experiment designed to determine the impacts of ocean acidification on Southern Ocean sea-floor communities under increasing carbon dioxide emissions. Project leader, Dr Johnny Stark of the Australian Antarctic Division, said a quarter of the carbon dioxide emitted into the atmosphere is absorbed by the ocean, which increases its acidity. “Carbon dioxide is more soluble in cold water. Polar waters are acidifying at twice the rate of tropical or temperate regions, so we expect these ecosystems to be among the first impacted from ocean acidification,” Dr Stark said. “Research shows the pink encrusting algae, known as crustose coralline algae, may decrease in extent in a more acidic future ocean, as it incorporates calcium into its structure, and this becomes harder for organisms to obtain as the acidity of the seawater increases. Australian Antarctic Division PhD student James Black said the ROV was deployed through a small hole drilled in the sea ice and also collected diatoms and sediment. Scientists will study the effect of ocean acidification on these communities in laboratories at the Division’s headquarters in Tasmania. “Even small shifts in the timing of sea ice breakout can alter the composition of communities in these shallow coastal waters so we’re seeking to understand what other impacts there may be in an acidifying ocean,” Mr. Black said.